In 2010, a few weeks before his 90th birthday, Pandit Ravi Shankar took the time for a long in-depth interview with Johan Ral. In this exclusive interview, Ravi Shankar speaks openheartedly about his life and work. Naturally, he also speaks – very fondly – of his collaboration and friendship with Sir Yehudi Menuhin. 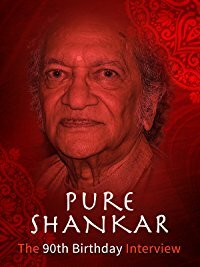 ‘PURE SHANKAR’ is out on Amazon Prime Video US and UK.